Singular: Act I is a truly fantastic pop moment as Sabrina Carpenter takes control of her destiny. Interviewing a pop star is always an apprehensive situation to find yourself in. On one hand, it’s likely that both yourself and the entire world has been listening to their music on repeat for the past however many months and weeks. So, you’re excited and filled with whatever emotions they’ve made you feel through their ballads. “Oh, I know James! How are you?” – those are the first words I hear out of Sabrina Carpenter’s mouth when her publicist introduces us. In that moment, it’s easy to forget that she has 15.5M followers on Instagram, and 635M views on YouTube, and hundreds of millions of streams on Spotify. She’s giggling and laughing and being, well to be frank, a human. It’s a welcome change in the pop industry. Despite the fact that Sabrina Carpenter’s sophomore album was called ‘EVOLution’, you could easily argue that it’s in her new set, ‘Singular: Act I’ (Act II is due out in 2019) where she has gone through her biggest career development so far. Across the 8 songs on the album, she makes it clear that she’s a mature, well-adjusted pop icon. On lead single ‘Sue Me’ she revels in the glory of being able to live her best life after breaking up with an ex (“Well sue me, for looking so pretty tonight”), on fan favourite ‘Bad Time’ she calls it quit with a former lover who isn’t treating her right, and on album finale ‘Diamonds Are Forever’ she shows that she knows her worth: “I am a diamond and diamonds are forever”. It’s not just in the music where she has grown though. In the past 24 months I’ve interviewed the pop star four times – each time she’s been more comfortable and more natural than the time before. 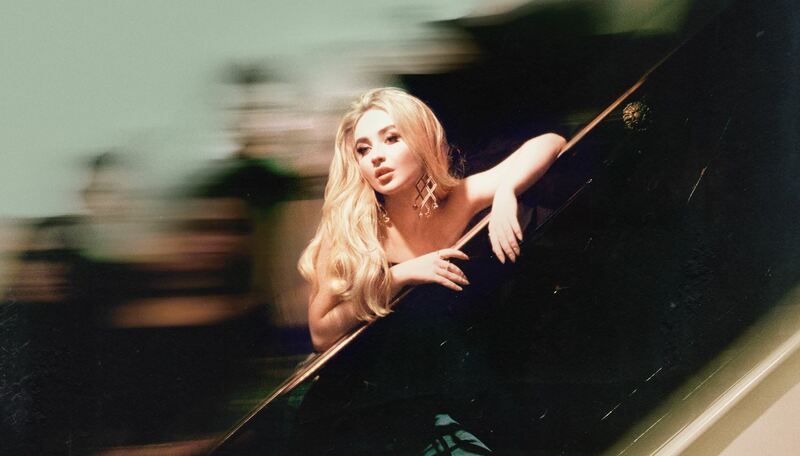 If ‘Singular: Act I’ is Sabrina Carpenter growing up in the studio, it’s also her growing up in her day-to-day life. Accepting that her teenage years are soon-to-be over and taking control of her destiny. If ‘EVOLution’ was Sabrina’s ‘For You’ (the Selena Gomez album containing hits such as ‘The Heart Wans What It Wants’), then it’s no stretch to compare ‘Singular: Act I’ to ‘Revival’ – where the world got to see a truer, more mature Gomez. Ignoring pop comparisons for a moment, it’s undeniable that ‘Singular: Act I’ is truly a fantastic pop moment. Where most pop stars struggle to balance their truth with making mainstream-worthy music, Sabrina Carpenter succeeds time after time. Every track on the new album works together as a collection, telling the story of an artist who has never been more ready for whatever life throws her next, whilst also being strong enough to work individually (or… singularly). When it comes to reaching fan expectation, ‘Singular: Act I’ was prfct. Listen below for the W!ZARD Radio Station exclusive interview with Sabrina Carpenter. We discuss her development as an artist, new album ‘Singular: Act I’ and her difficult role in film ‘The Hate U Give’.